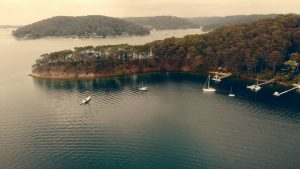 Morning Bay is an adjoining harbour in the middle of Sydney’s beautiful Northern Beaches. Accessed by only boat, this little slice of paradise is quiet and reserved. Therefore, removalists sometimes find difficulty in moving in or out of the bay. knows just what to do. Here is a video of our latest move in Morning Bay! “It was as if the SmartMove boys were moving actually moving their own furniture. That was the level of care you were getting. And they were also a lot of fun! Overall, we are very happy to recommend Chris and All Waterfront Constructions for the professional work they do. We take pride in the services we provide here at SmartMove. Furthermore, we love making our customer’s satisfied with their home transitions. That is why we would like to invite you to ask about our services today. We have over 8 years of customer service in the greater Sydney area. So, if you are moving, de-cluttering, renovating, or storing… SmartMove Removals & Storage can supply every kind of packing material and equipment you will ever need for moving or storing a house or office. If you would like to know more about the services we an offer, please contact us by clicking here or calling 1300 66 8387. 16-18 Grosvenor St, Sydney, NSW, 2000.